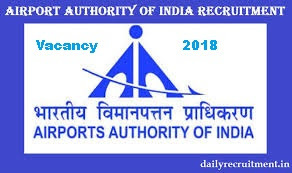 Applications for In the Airports Authority of India (AAI), senior auxiliary assistants have invited applications for recruitment of 7 vacant posts. The last date for applying is 05 December 2018. Candidates for these positions will be selected on the basis of interview and experience. Apply soon – senior auxiliary assistants have invited applications for recruitment of 7 vacant posts. The last date for applying is 05 December 2018. Candidates for these positions will be selected on the basis of interview and experience. intersted candiate apply soon for this job.